Municipal transit systems are upgrading their fleet vehicles to operate on clean-energy compressed natural gas (CNG) and Propane fuels. Ino-Tek is working with Architects, Engineering firms and directly with municipalities in the design and installation of upgraded Gas Detection systems to protect people and property as the transportation industry incorporates the exciting clean energy technology. 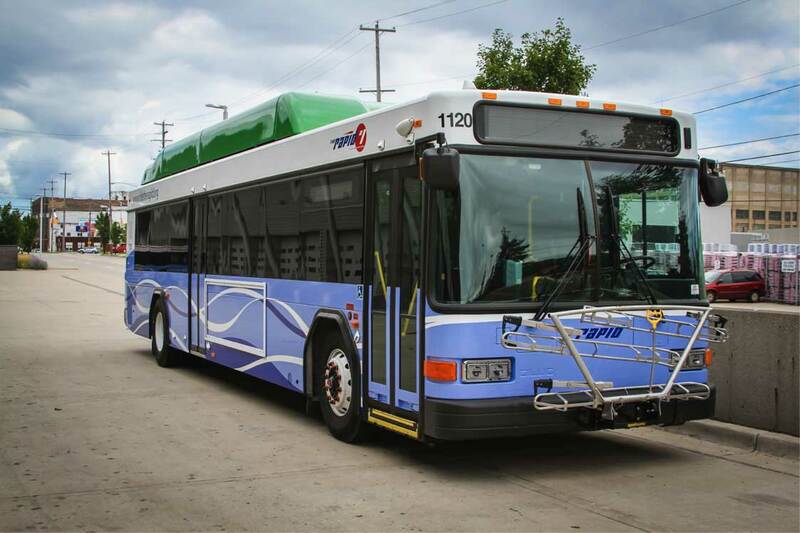 As transit systems upgrade their bus fleets to use clean-energy, compressed natural gas (CNG) and Propane, Gas Detection and Vapor Detection systems designed for diesel are no longer sufficient. Unlike diesel fuel, with its high flash point and liquid composition, a CNG or Propane fleet vehicle stores dangerous quantities of flammable compressed natural gas (CNG) or Propane under high pressure. In the event of a tank puncture – or, even a defective connection in the fuel system – the highly combustible fuels stored in the vehicle are subject to rapid release. If such a release occurs in the open, it’s possible for the vehicle to be completely destroyed. If a high-pressure CNG or Propane leak occurs while the vehicle is inside a parking or maintenance facility, the potential for a catastrophic fire or explosion involving the facility and all its contents – including the other vehicles parked there – increases dramatically, potentially involving an entire fleet of vehicles, the building, its occupants and even neighboring buildings. The Gas Detection requirements for CNG and Propane fleet facilities are more complex than the protection requirements where only diesel vehicles are in use. The primary hazards for diesel fleets are toxic emissions - primarily nitrogen dioxide (NO2) and carbon monoxide (CO). These gases are very toxic, mix readily with air and create a danger zone approximately five feet above the ground – right at the height where people are breathing the air. Immediate increases in ventilation are required in order to prevent a tragic event. CNG and propane fleets also generate nitrogen dioxide (NO2) and carbon monoxide (CO) when operating. However, the presence of large quantities of flammable gases, stored under high pressure within each vehicle creates an additional Gas Detection requirement in order to protect the facility and its occupants from an explosive situation. Understanding the actual clean energy fuel adopted is critical to sensor selection and placement. CNG is lighter than air and Propane is heavier. The large spaces involved create ventilation dead zones where leaking gases can accumulate. Smoke testing can help identify trouble spots. Gas and Vapor Detection systems are critical in fleet maintenance facilities to keep drivers and other employees safe from CNG and Propane leaks that could result in fires and possible explosion – threatening employees, the buses and even, the facility.